Ortega y Gasset Projects is pleased to announce (I) Pine, a solo exhibition by Rick Briggs, with an opening reception on Saturday, April 22, 6-9pm. The exhibition runs until Sunday, May 21st. The exhibition is curated collectively by the Co-Directors of Ortega y Gasset Projects. This exhibition represents over twenty years of paintings by New York based artist, Rick Briggs. (I) Pine is an invitation into the ambiguities and slippages of abstraction and a survey of the hardest thing about painting… the first 20 or so years. 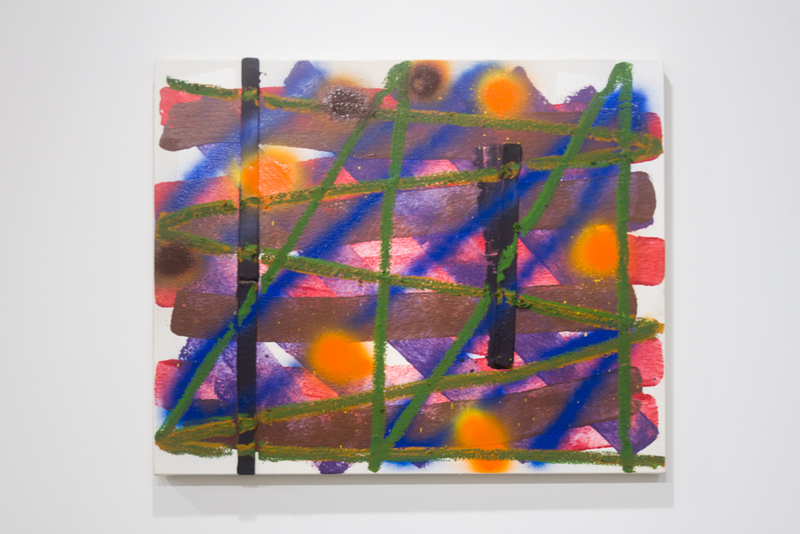 Briggs’ work explores the physicality of paint through gesture and layering with the use of house-painting materials such as rags, paint sticks, and rollers. These utilitarian items are presented in ways that often defy their intended purpose: collaged into paintings as evidence of play, exploration, and intuition. The detritus of a house-painter’s vocation are gathered and re-contextualized. Disks of dried paint peel from the bottom of near-empty paint cans or paint-caked rollers that are inserted through the painting’s surface. Mid-sized and small works explore the artist’s inexhaustible curiosity with the possibilities and processes of paintings. 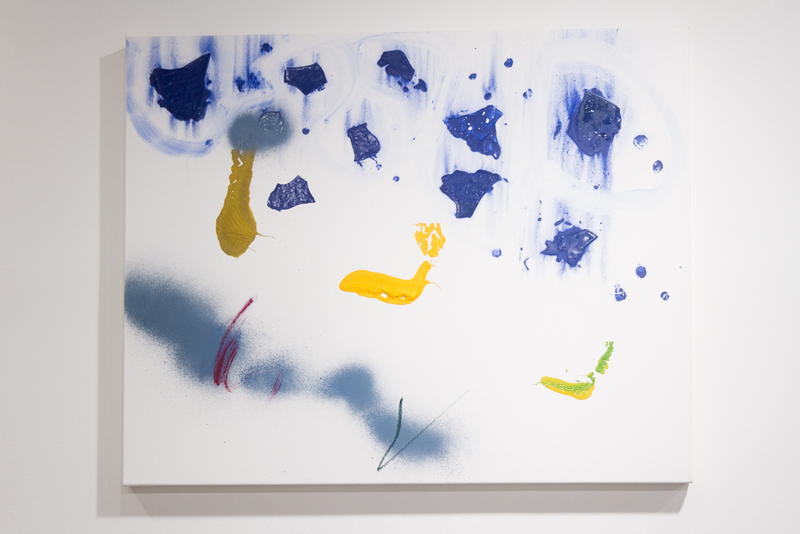 Large-scale paintings made by rolling, spraying, pouring or splashing the paint declare the body’s movements and remain as indexical moments of existence. The frankness of the artist’s tools and techniques belies the purpose of a true idealist, a true believer, a true painter: the pursuit of freedom and the desire for mystery. In a Kierkegaardian way, freedom and mystery are in a suspended state of becoming. They are open-ended endeavors driven by an impulse, a curiosity or a longing. Rick Briggs received a BFA from Tyler School of Art and a MFA from SUNY Purchase. 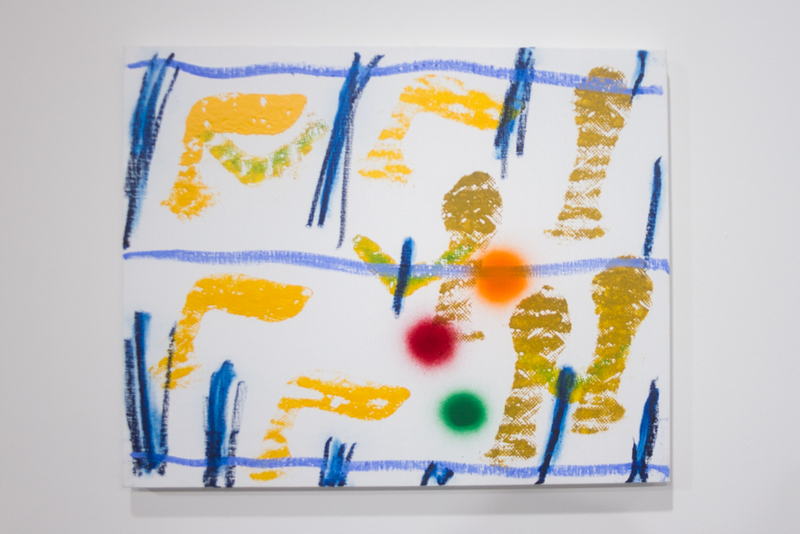 He was a recipient of a Pollock-Krasner Fellowship (2012) and The Guggenheim Memorial Foundation Fellowship (2011). He has exhibited at Valentine Gallery, Sideshow Gallery, Yale University School of Art, Islip Art Museum, and Brooklyn Museum of Art.